Assists in lifting a leg; for instance onto a footstool, footrest or bed. 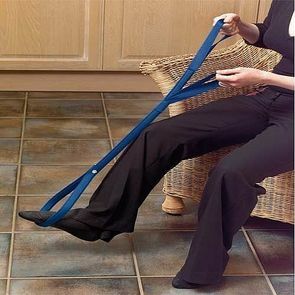 Has a stiff polyester webbing stem with a reinforced foot loop for supporting the leg, and two handles to assist lifting. Length 35" (890mm).